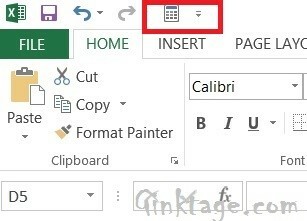 How to Add Calculator in Excel 2013? This article will explain how to add calculator to your excel worksheet in simple steps in Microsoft Excel 2013. Do you want to launch the calculator quickly when working in the excel worksheet? 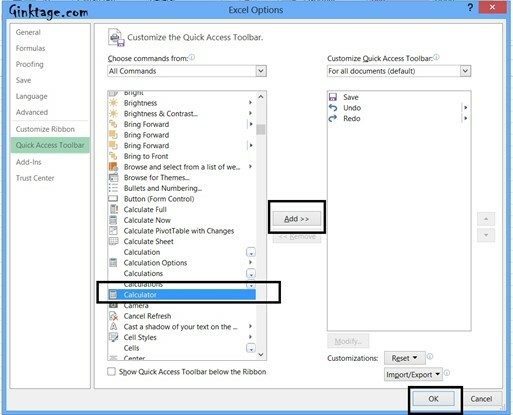 If yes, here’s few simple steps which lets you to launch / add calculator in Excel 2013. The option to launch calculator in excel 2013 is hidden by default. 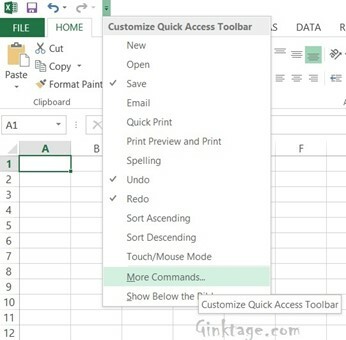 You can include it by following the simple steps as described below in excel 2013. 1. Navigate to “Customize Quick Access toolbar” and click “More commands”. 2. This will display the “Excel Options Dialog“. Under the “Choose commands from” section, select “All commands” from the Dropdownlist. 3. Scroll down the Dropdownlist to identify “Calculator” and then select it and click “Add >>” button to display it in the quick access toolbar and click “OK” button to continue. 4. This will display the Calculator icon in the “Quick Access toolbar” which can be seen in the top of the excel sheet. 5. When you wanted to perform a quick calculator, just click the calculator icon/button to open the calculator.